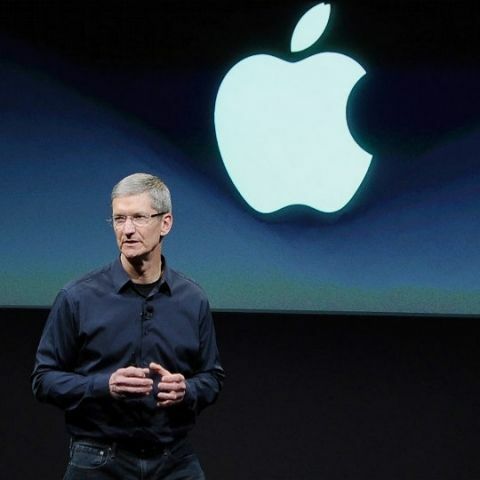 Apple CEO Tim Cook said that he will now put great energy into the growing Indian market. As Apple posted a healthy revenue of $61.1 billion for its fiscal 2018 second quarter -- defying global reports of a weakened demand for its iPhones -- the company's CEO Tim Cook said he will now put great energy into the growing Indian market. During the company's earnings call with media late Tuesday, Cook said: "Let me start with India, and then I'll talk more about China. India, we set a new first-half record. So we continue to put great energy there... Our objective over time is to go in there with all of our different initiatives from retail and everything else. "And so we're working toward those things. It's a huge market and it's clear that many people will be moving into the middle class over time, as we've seen in other countries." The quarterly revenue of $61.1 billion was an increase of 16 per cent from the year-ago quarter and international sales accounted for 65 per cent of the quarter's revenue. "We're thrilled to report our best March quarter ever, with strong revenue growth in iPhone, services and wearables," Cook said in a statement. "Customers chose iPhone X more than any other iPhone each week in the March quarter, just as they did following its launch in the December quarter. "We also grew revenue in all of our geographic segments, with over 20 per cent growth in Greater China and Japan," he informed. Apple also announced $100 billion in additional stock buybacks. "Given our confidence in Apple's future, we are very happy to announce that our Board has approved a new $100 billion share repurchase authorization and a 16 per cent increase in our quarterly dividend," said Luca Maestri, Apple's CFO. The iPhone maker reported $13 billion in revenue from Greater China. "China, I continue to believe is a phenomenal country with lots of opportunity from a market point of view, but also lots of opportunity from an app developer's point of view," Cook said during the earnings call. "We have almost two million application developers in China that are writing apps for iOS and the App Store, and they're doing unbelievably creative work and innovative work. So we look at China holistically, not only as a market, he noted. Apple will complete the execution of the previous $210 billion share repurchase authorisation during the third fiscal quarter. "Our business performed extremely well during the March quarter, as we grew earnings per share by 30 per cent and generated over $15 billion in operating cash flow," said Maestri.